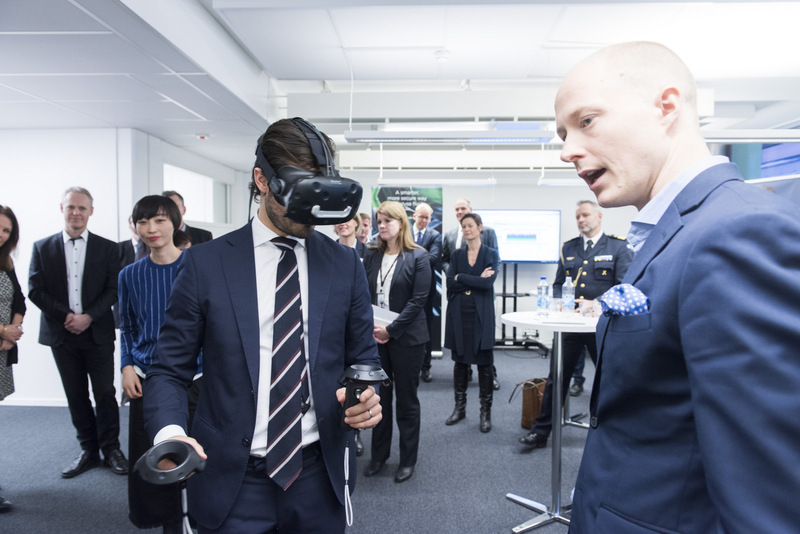 The Swedish prince Carl Philip is interested in Swedish companies and how they work with innovation. 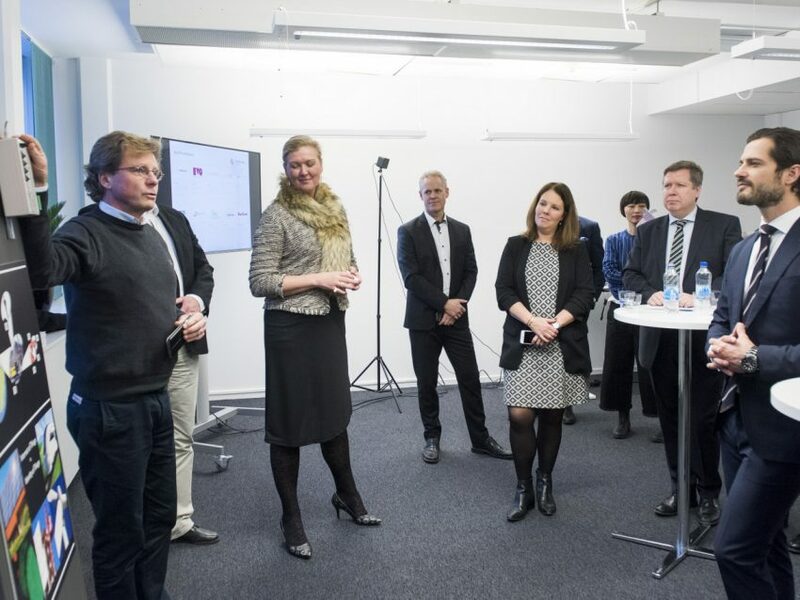 On December 12, he visited ABB Corporate Research Center and SynerLeap in Västerås, Sweden. 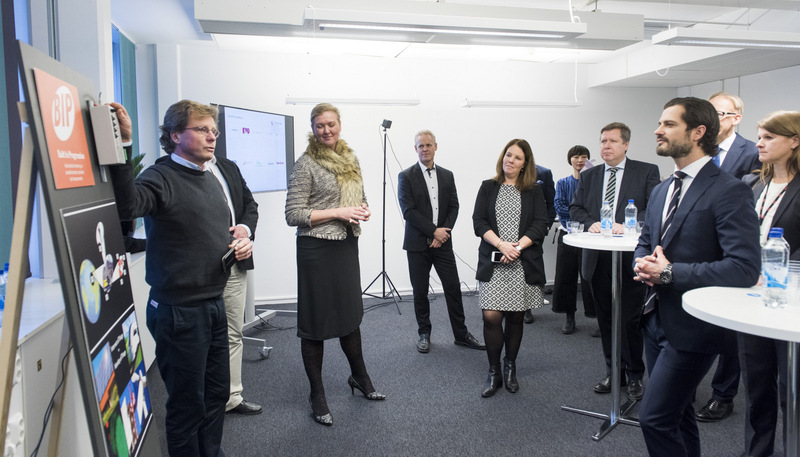 At ABB Corporate Research Center, the prince visited several of the labs and, for example, learned about industrial design. He was also introduced to YuMi, collaborative robot and the growth hub SynerLeap. After the introduction about SynerLeap, some of our companies held presentations and demonstrations about their concepts. 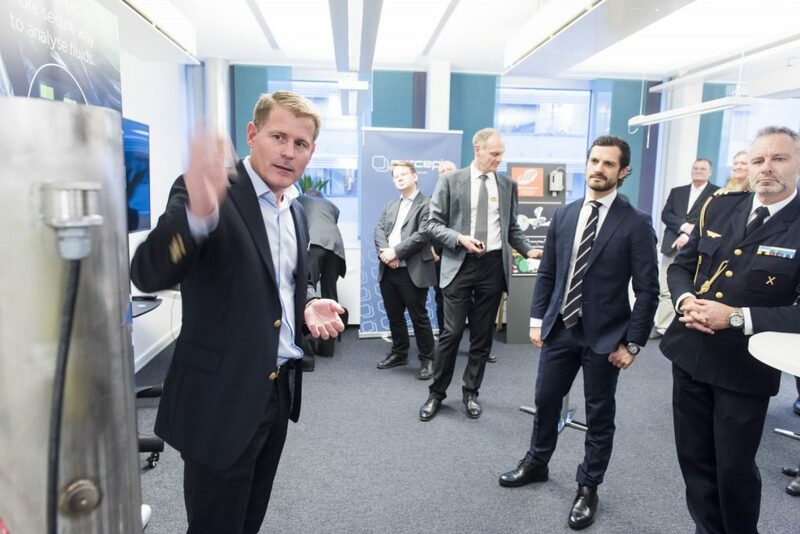 Prince Carl Philip was clearly interested and impressed by the innovative and entrepreneurial spirit in the SynerLeap companies. – An interesting and rewarding day! 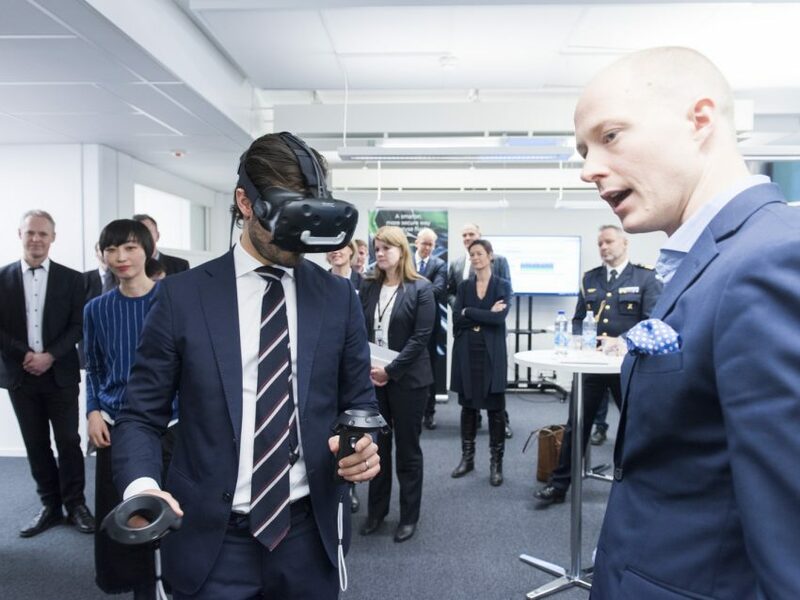 It has been impressive to learn about the world leading technology, and to see all the opportunities that are ahead in many areas, said Prince Carl Philip. Klas Ekstrand, Founding Partner/Communications Manager at BipOn explains their concept of “Identity of Things”. Photo: Jonas Bilberg.